Loss to Trump in home state of Florida is final straw for Rubio's presidential bid. Minutes after losing the primary in his home state to Donald Trump, Florida Senator Marco Rubio on Tuesday night suspended his presidential campaign. “After tonight it is clear that while we are on the right side, this year we will not be on the winning side," Rubio said, according to the Politico news website. With 84% of the votes in Florida having been counted, CNN reported that Trump overwhelmingly won the Sunshine State with 45.5%, and Rubio only won 27.2%. Ted Cruz followed with 17% of the vote. In his statement announcing he was dropping out, Rubio delivered a rebuke to Trump's heated rhetoric, saying he was proud that he did not run his own campaign by preying on Americans' anxieties. 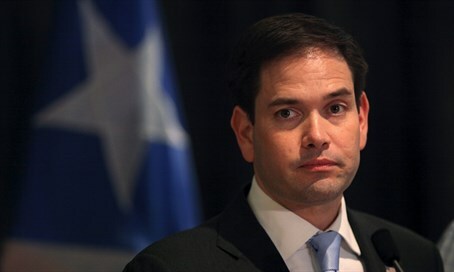 "America’s in the middle of a real political storm," Rubio said, according to Politico. Rubio suspended his campaign despite having earlier announced that he would not drop out even if he lost Florida. “Tomorrow our plan is to be in Utah campaigning, irrespective of tonight,” Rubio was quoted by The Hill as having said earlier. “It would be a lot better to go to Utah being the winner of the Florida primary. It would give us a tremendous amount of momentum. It would give us 99 delegates, and that’s the way we want to do it tonight,” he added. Rubio was reportedly advised by his associates to drop out even before the Florida vote in order to avoid embarrassment in his home state, but he chose to continue the campaign.